This is a list of recurring alien characters in the science fiction television series Stargate SG-1. The Abydonians are the people whom Colonel O'Neill's team encounters on another planet in the Stargate film. They are the slaves of the alien Ra and are descendants from ancient Egyptians brought through the Stargate to mine the fictional mineral naqahdah. The film gives the location of their homeworld—named Abydos in SG-1's pilot episode "Children of the Gods"—as the Kaliem galaxy "on the far side of the known universe" (a vague reference to the constellation Caelum, perhaps) in the film; and as the closest planets to Earth in the Stargate network in "Children of the Gods". In the film, O'Neill and Daniel Jackson inspire the Abydonians and their leader, Kasuf, to rise up against Ra. The military personnel return to Earth, while Daniel falls in love with Kasuf's daughter Sha're and remains behind. In "Children of the Gods", set a year after the film, the Goa'uld Apophis attacks Abydos, abducting Sha're and her brother Skaara to serve as hosts for his queen Amonet and son Klorel. In season 6's "Full Circle", the Goa'uld Anubis destroys Abydos, but Oma Desala helps its entire population Ascend. Erick Avari played Kasuf in the film and the television series. Kasuf (Hebrew for 'silver-colored'), played by Erick Avari (film, seasons 2–4) and Daniel Rashid (Origins) – The leader of the Abydonians in the film, and the father of Sha're and Skaara. In season 2's "Secrets", one year after Apophis's kidnapping of Kasuf's children in "Children of Gods", Daniel returns to Abydos and learns that Sha're has become pregnant by Apophis. Kasuf helps Daniel to hide the newborn child from Heru-ur. Kasuf returns in season 3's "Forever in a Day" when his daughter Sha're dies. Kasuf last appears in season 4's "Absolute Power", introducing SG-1 to his rapidly aged grandchild, Shifu. Sha're (Sha'uri in the film), played by Mili Avital (film) and Vaitiare Bandera (seasons 1–3) – Kasuf's daughter who becomes Daniel Jackson's wife and the host of the Goa'uld Amonet (also spelled Amaunet). In the film, her father Kasuf offers Sha're to Daniel Jackson as a gift, and although he initially refuses to take her as his wife, they eventually fall in love with each other. After one year of marriage in "Children of the Gods", Apophis takes Sha're hostage and makes her a host for his symbiote queen Amonet against her will. Daniel meets a now vastly-pregnant Sha're on a visit to Abydos in season 2's "Secrets". She hides her child, a Harcesis fathered by Apophis, from Heru-ur as Amonet is dormant during the pregnancy. When Sha're gives birth to a boy, Shifu, Amonet takes control of Sha're but keeps information about the child to herself. Amonet returns for the child one year later in season 3's "Forever in a Day", sending him to the planet Kheb with one of her handmaidens. During a battle at Abydos in "Forever in a Day", Amonet attacks Daniel with her hand device in a tent, and Teal'c kills Sha're with his staff weapon to prevent Daniel's death. Skaara, played by Alexis Cruz (film, seasons 1–3, 6) – The son of Kasuf and brother to Sha're. In the film, Skaara and his friends aid O'Neil and his soldiers to beat Ra. In "Children of the Gods", Skaara is taken hostage by Apophis and is made the host for his symbiote son Klorel against his will. SG-1 invades Klorel's ship in the season 1 finale, "Within the Serpent's Grasp", but Skaara is only able to emerge shortly. After O'Neill shoots Klorel to prevent him from killing Dr. Jackson, Bra'tac revives him in a Sarcophagus. Skaara and Apophis flee before their ships are destroyed in the season 2 opener, "The Serpent's Lair". In season 3's "Pretense", Klorel's ship crashes on the Tollan homeworld while fleeing from Heru-ur's forces. With help from the Tollan technology, Skaara regains control and participates in a Tollan trial to get the symbiote separated from his body. Skaara wins the trial and eventually returns to Abydos, where he meets SG-1 one last time in the season 6 finale, "Full Circle". Skaara helps SG-1 in the search for the Eye of Ra before Anubis can find it on Abydos. Skaara is mortally wounded during the firefight with Anubis' Jaffa, but ascends with the help of Oma Desala. The Ancients are the original builders of the Stargate network, who by the time of Stargate SG-1 have ascended beyond corporeal form into a higher plane of existence. The humans of Earth are the "second evolution" of the Ancients. The Ancients (originally known as the Alterans) colonized the Milky Way galaxy millions of years ago and built a great empire. They also colonized the Pegasus galaxy and seeded human life there before being driven out by the Wraith. The civilization of the Ancients in the Milky Way was decimated millions of years ago by a plague and those who did not learn to ascend died out. With few exceptions the ascended Ancients respect free will and refuse to interfere in the affairs of the material galaxy. However their legacy is felt profoundly throughout the Stargate universe, from their technologies such as Stargates and Atlantis to the Ancient Technology Activation gene that they introduced into the human genome through interbreeding. Ganos Lal or Morgan le Fay, played by Sarah Strange (season 10) – An ascended Ancient who would give rise to the Arthurian legend of Morgan le Fay. Her fictional backstory closely links her to her fellow ascended Ancient Myrddin (Merlin), who aimed to construct a weapon to fight the Ori that also posed a danger to the Ancients. Morgan le Fay is first referenced in season 10's "Morpheus" and first appears in person in "The Pegasus Project" where she poses as a hologram in Atlantis. She gives SG-1 information about the location of Merlin's weapon, the Sangraal, but the Others banish her for this action. Morgan le Fay is mentioned again in "The Quest" and returns in Stargate: The Ark of Truth to help SG-1 in their fight against Adria in the Ori galaxy. She is last seen engaging Adria in an eternal battle. Moros, also known as Myrddin or Merlin, played by Matthew Walker (season 9–10) – The High Councilor of Atlantis during the days of the first siege of the city, and is one of the most influential Ancients in the series. Moros is named after Moros from Greek legend, the personification of impending doom and destruction, while his name Merlin refers to the Arthurian legend. Merlin is introduced in the Stargate Atlantis season 1 episode "Before I Sleep", where an alternate Elizabeth Weir travels through time and meets him as Moros during his days on Atlantis. A tablet Merlin created thousands of years ago is found in season 9's "Avalon" and sets the Ori arc of SG-1 in motion. Merlin appears as a hologram in "Avalon", season 9's "Camelot" and season 10's "The Pegasus Project", providing information about his background and his motivations. As revealed in season 10's "The Pegasus Project", SG-1 must find a weapon that Merlin sought to construct to defeat the Ori, the Sangraal. On this quest, SG-1 finally find Merlin in stasis in season 10's "The Quest" and awaken him. His body dies shortly afterwards, but his transferred consciousness remains in Daniel Jackson until "The Shroud" to complete the building of the Sangraal. • Matthew Walker was nominated for a Leo Award in 2007 for "Best Supporting Performance by a Male in a Dramatic Series" for this role. Oma Desala ("Mother Nature"), played by Carla Boudreau (season 3) and Mel Harris (seasons 5, 8) – An Ascended being who goes against the ways of the Ancients. It is unclear if she is an Ancient herself, as the Ancients Orlin and Merlin give different accounts of knowing Oma. Oma is responsible for once helping the fallen System Lord Anubis, the main SG-1 antagonist between seasons 5 through 8, ascend. Although the Ancients banished her for her actions, Oma remains convinced of her responsibility to guide those beneath to the "Great Path" of enlightenment, even if this interferes in the lower planes of existence. Oma therefore only guides individuals, leaving the final decision to travel the great path to them. SG-1 first encounters Oma Desala on their search for Shifu in season 3's "Maternal Instinct". Oma eventually guides Shifu to ascension in season 4's "Absolute Power". Oma is involved in Daniel Jackson's ascension in "Meridian" and forceful de-ascension in "Fallen", and also helps the entire Abydonian population ascend after Anubis's attack in season 6's "Full Circle". Oma Desala last appears in season 8's "Threads", sacrificing herself to enter an eternal battle with Anubis to prevent him from wreaking further havoc on the galaxy. • Mel Harris's teenage son was a Stargate SG-1 fan and introduced her to the series. The Stargate producers offered her the part when she was visiting the set while in Vancouver for another job. The best direction she got for playing this almost "omniscient" character was that she was not like others and was a "being" of her own. Orlin, played by Sean Patrick Flanery (season 5) and Cameron Bright (season 9, child) – An outcast Ancient whom SG-1 encounters on the dead planet Velona in season 5's "Ascension". He once broke the rules of the Ancients by giving advanced technology to the planet's people, who immediately abused it. After his staying on Earth and developing feelings for Carter, he tries to stop the Earth research of the same weapon and is redeemed and re-ascended by the Ancients. Orlin returns in the form of a human child to retain his Ancient knowledge longer in season 9's "The Fourth Horseman" and informs Stargate Command of the feud between Ancients and Ori, and false promises of ascension and religion. He suffers significant brain damage and is eventually interned in a mental institution on Earth. The Asgard are a benevolent race that, according to the mythology of Stargate, gave rise to Norse mythology on Earth and inspired accounts of the Roswell grey aliens. The Asgard can no longer reproduce and perpetuate themselves by transferring their minds into new clone bodies as necessary. Extremely advanced technologically, the threat of their intervention shields many planets in the Milky Way from Goa'uld attack, including Earth. They also provide much assistance to Earth in the way of technology, equipment, and expertise. Their main adversary in Stargate SG-1 are the mechanical Replicators, against which they enlist the aid of SG-1 on several occasions. The entire Asgard civilization chooses to self-destruct in "Unending" due to the degenerative effects of repeated cloning. A small colony of Asgard still exist in the Pegasus galaxy that were able to stop cloning diminishing returns. Stargate SG-1 had several Asgard puppets, and six puppeteers are necessary to make the different parts of the main Asgard puppet work. On set, Teryl Rothery (Dr. Frasier) wearing CGI reference gear was the "stand-in" for Thor ("Small Victories" episode 4.1) and Heimdall ("Revelations" episode 5.22) when full motion is required and puppets could not be used. Freyr, voiced by Brian Jensen (season 5) – A member of the Asgard High Council, named after Freyr, the Norse fertility god and god of love. SG-1 first encounters Freyr as a Viking hologram on the Asgard-protected planet K'Tau in season 5's "Red Sky", but Freyr refuses to help SG-1 to avoid a violation of the Protected Planets Treaty. SG-1 meets Freyr and the Asgard High Council again in "Fail Safe" to save Earth from an approaching asteroid, and again receive no help. Freyr eventually requests SG-1 to rescue one of their scientists in "Revelations" and protects SG-1, the Asgard scientist Heimdall and his studies with a fleet of three O'Neill class battleships. Kvasir, voiced by Trevor Devall and Morris Chapdelaine (seasons 9–10) – An Asgard scientist and expert in time-dilation technology. He is named after Kvasir, a Norse god and wisest of the Vanir. As Thor is busy in the Asgard home galaxy in season 9's "Ripple Effect", Kvasir visits Earth in Thor's stead to help Earth fix a problem with alternate realities. Kvasir also assists SG-1 in battling the Ori in season 9's "Camelot" and helps to repair the transporters of the Odyssey in season 10's "Flesh and Blood". Thor, voiced by Michael Shanks (seasons 1–8, 10) – The Supreme Commander of the Asgard Fleet. SG-1 first encounters Thor as a humanoid Viking holographic recording on the planet Cimmeria in season 1's "Thor's Hammer", and as his true self in season 2's "Thor's Chariot" as he saves Cimmeria from Heru-ur's invasion. Thor remains a recurring character and appears in all following seasons except season 9, risking his life multiple times to save SG-1 and Earth from both the Goa'uld and the Replicators, while SG-1 save him on many occasions from the Replicators and once from Anubis (in season 5's "Revelations"). Thor makes his last appearance in the series finale, "Unending", leaving SG-1 the entire knowledge of the Asgard race after his race's attempts to solve their genetic difficulties have failed. The Goa'uld are the dominant race in the Milky Way and the primary adversaries from seasons 1 to 8 of Stargate SG-1. They are a parasitic species that resemble finned snakes, which can burrow themselves into a humanoid's neck and wrap around the spinal column. The Goa'uld symbiote then takes control of its host's body and mind, while providing longevity and perfect health. Thousands of years ago, the Goa'uld ruled over Earth, masquerading as gods from ancient mythologies. They transplanted humans throughout the galaxy to serve as slaves and hosts, and they created the Jaffa to serve as incubators for their larvae. The most powerful Goa'uld in the galaxy are collectively known as the System Lords. Amonet (also spelled Amaunet), played by Vaitiare Bandera (seasons 1–3) – See Sha're. Anubis, played by David Palffy (seasons 5–7, hooded), Dean Aylesworth and Rik Kiviaho (season 8's "Reckoning"), and George Dzundza (season 8 as "Jim") – A half-ascended Goa'uld System Lord who replaces Apophis as the main enemy in season 5. Based on the god Anubis of Egyptian mythology, the character is first mentioned in season 5's "Between Two Fires" and makes his first appearance in "Revelations". Earth is eventually able to annihilate Anubis's fleet above Antarctica in "Lost City", but Anubis survives in energy form ("Lockdown"). Anubis regains his power throughout season 8 and develops a plan to destroy all life in the galaxy and then repopulate it to his own designs ("Reckoning"). Just as he prepares to use the weapon in "Threads", Oma Desala, who inadvertently aided in his ascension thousands of years ago, engages him in an eternal battle. • David Palffy was cast to play Sokar before he got the part of Anubis. Since Anubis is cloaked all the time, Palffy had to express the character's weight through the voice and movements. Mainly because of the severe time restraints of filming television, the producers gave Palffy no background on the character and encouraged Palffy to experiment and find the character's tone himself. What was under Anubis' cloak became a main question among fandom. Anubis was received as an over-the-top-character, but Palffy pointed to what the character represents, saying "Anubis is a god – he's not fully ascended, he's basically an outcast. And as I say, this resulting displacement of energy that's evil, that has been temporarily harnessed under a hood to give him physical form. He's the image of death, the figure of death incarnate, and he's surrounded by a black robe. That symbol in itself has been around since the dawn of time. That in itself is over the top. [...] His whole existence is basically predicated on living up to that theme, and that's a theme that's time immemorial. And of course, as an actor, you've got to work with that. To do otherwise, to underplay that, will work against the idea of what he represents." Palffy was open to continue playing Anubis beyond season 7, but other actors played the character in season 8. Apophis, played by Peter Williams (seasons 1–6, 8) – A System Lord and the main villain for most of the first four seasons of Stargate SG-1. Based on the god Apep of Egyptian mythology, the character gained power after Ra's death in the film and commands a raid on Earth and Abydos in "Children of the Gods". His then-First Prime, Teal'c, defects from his army afterwards. Apophis's standing amongst the System Lords is severely diminishes after a failed full-scale assault on Earth in season 2's "The Serpent's Lair". After defeating the Goa'uld Sokar's massive fleet and army in season 3's "The Devil You Know", Apophis becomes the most powerful Goa'uld in the galaxy. Despite his death aboard his Replicator-infested ship in season 5's "Enemies", Apophis appears in visions and alternate universes in season 6's "The Changeling", season 8's "Moebius" and Stargate: Continuum. The astronomers David J. Tholen and Roy A. Tucker enjoyed the character so much that they named a near-Earth asteroid that they co-discovered in 2004, 99942 Apophis. Ba'al, played by Cliff Simon (seasons 5–10) – A System Lord based on the Baal of Canaanite religion. Introduced in season 5's "Summit" and recurring until the end of the show, he is the longest-running villain in Stargate history. After Anubis' fleet is destroyed in season 7's "Lost City", Ba'al gains substantial power and wages a war against all other System Lords, driving them to the brink of defeat in early and mid-season 8. Anubis' return in "Reckoning"/"Threads" forces Ba'al back into his service. Ba'al secretly collaborates with SG-1 and Jacob/Selmak to thwart Anubis' plan of overtaking the galaxy with the Dakara Superweapon, but flees when the Jaffa storm his mothership. With his traditional power base gone, Ba'al exiles to Earth and takes over the Trust, posing as a wealthy businessman in season 9's "Ex Deus Machina". Having made multiple clones of himself, Ba'al begins a campaign to battle the invading Ori for control of the galaxy in "Stronghold" and tries to gain power through various means in "Off the Grid", and season 10's "Insiders" and "The Quest". Ba'al captures Adria in "Dominion" and implants one of his cloned symbiotes within her, massacring most of his other clones with symbiote poison. The Tok'ra extract the symbiote from the last Ba'al clone in Stargate: Continuum. Camulus, played by Steve Bacic (season 8) – A System Lord who visits the SGC in season 8's "New Order" to first negotiate a new arrangement against Ba'al only to later request asylum on Earth to hide from Ba'al. Camulus leaves Earth in "Zero Hour" with a ZPM, in an alleged attempt to assassinate Ba'al. Camulus appears briefly in the alternate timeline of Stargate: Continuum as one of Ba'al's lieutenants. Cronus, played by Ron Halder (seasons 3–4) – A System Lord, named for Cronus in Greek mythology. He was the one who banished Sokar. After Cronus punished Teal'c's father (Cronus's First Prime) with a painful death for losing an unwinnable battle, Teal'c became the First Prime of Apophis, mortal enemy of Cronus, to avenge his father's death. Cronus first appears in season 3's "Fair Game" alongside Nirrti and Yu to negotiate Earth's entry into the Protected Planets Treaty. Cronus is shot dead by an android Teal'c in season 4's "Double Jeopardy". Cronus appears briefly in the alternate timeline of Stargate: Continuum as one of Ba'al's allies. Hathor, played by Suanne Braun (seasons 1–3) – The Queen of Ra and mother of Heru-ur, whom archaeologists find imprisoned in a sarcophagus in Mexico in season 1's "Hathor". Her breath contains a brainwashing drug that enables her to influence males. After temporarily taking over the male population of the SGC in "Hathor", she creates an elaborate replica of the SGC in "Out of Mind"/"Into the Fire" to trick SG-1 into giving her much-sought information. O'Neill throws her unprotected into a cryogenic chamber, thus killing her. Heru-ur, played by Douglas H. Arthurs (seasons 2, 4) – A System Lord, named for Horus in Egyptian mythology. He is the son of Ra and Hathor, and is a sworn enemy of Apophis. Heru-ur is introduced in season 2's "Thor's Chariot" as an invader of the planet Cimmeria, but an arriving Asgard mothership forces Heru-ur to retreat. In "Secrets", Heru-ur unsuccessfully tries to seize Amonet and her Harcesis child to fight Apophis. In season 4's "The Serpent's Venom", Heru-ur eventually plans an alliance with Apophis, but after the Tok'ra and SG-1 sabotage their meeting, Apophis destroys Heru-ur's ship and absorbs his forces. Klorel, played by Alexis Cruz (seasons 1–3) – See Skaara. Nirrti, played by Jacqueline Samuda (seasons 3, 5–6) – A System Lord interested in engineering an advanced human host (a hok'taur) for herself. Named for Nirṛti in Hindu mythology, she is first mentioned in season 1's "Singularity", where she wiped out a planet's entire population except for one girl she experimented on, Cassandra. Nirrti first appears in person in season 3's "Fair Game" alongside Cronus and Yu to negotiate Earth's entry into the Protected Planets Treaty, and she is handed over to Cronus after attempting to murder him. After Cronus' death in season 4's "Double Jeopardy", Nirrti appears in season 5's "Rite of Passage" when Cassandra's modified DNA causes life-threatening physiological changes. In season 6's "Metamorphosis", Nirrti conducts experiments on the local population (and later SG-1) using an Ancient DNA resequencer. A local eventually rises up and kills her by telekinetically breaking her neck. Nirrti appears briefly in the alternate timeline of Stargate: Continuum as one of Ba'al's lieutenants. • Jacqueline Samuda played the part as if "Nirrti always has a secret, something up her sleeve that no one else knows, and that's always playing in the subtext. That way she always has the upper hand and is really enjoying it". She thought of "Nirrti as a scientist and an explorer in a way" who "obviously has an end in mind that is nefarious". She found Nirrti's subtle sense of humor the most appealing. Samuda pitched the concept of the DNA machine for "Metamorphosis", its purpose and potential dangers, to the producers, but she did not pitch Nirrti as the Goa'uld who possessed it (co-writer and visual effects producer James Tichenor did). Osiris, played by Anna-Louise Plowman (seasons 4–5, 7) – A Goa'uld based on the Osiris of Egyptian mythology. Season 4's "The Curse" explains that Osiris was banished in a stasis jar along with his queen Isis by his brother Seth thousands of years ago. Osiris escapes when Daniel's former archaeologist colleague, Sarah Gardner, opens the jar and is possessed. Osiris escapes Earth and is recruited to represent Anubis at a summit of the System Lords in season 5's "Summit"/"Last Stand". In season 5's "Revelations", Osiris locates the base of the Asgard Heimdall and is able to defeat and capture Thor, but is forced to retreat with the arrival of Asgard reinforcements. Osiris last appears in season 7's "Chimera", where she uses a Goa'uld memory device on Daniel to find the location of the Lost City of the Ancients in his mind. She is discovered and captured, and the symbiote is extracted from Sarah's body. Ra, played by Jaye Davidson (Stargate), Jay Williams (season 8) – The alien villain in the film, based on the Ra of Egyptian mythology. Although the outline of Ra's original humanoid form in some scenes of the movie contradicts Stargate SG-1's definition of a Goa'uld, the series describes him as the most powerful and cunning of the Goa'uld, holding the title of Supreme System Lord. Ra's Queen was Hathor, his son was Heru-ur, and his brother (and enemy) was Apophis. As explained in the film and the series, Ra voyaged across the galaxy 10,000 years ago in search of a new host, discovered that the primitive humans of Earth were ideal hosts and eventually he seeded humans throughout the galaxy to serve as Goa'uld slaves (see Mythology of Stargate). A nuclear weapon kills Ra aboard his mothership in Abydos' orbit in the Stargate film, creating a power vacuum in the galaxy and drawing the attention of the other Goa'uld to Earth as the premise of Stargate SG-1. Ra appears in masked form in SG-1's season 8 time-travel episode "Moebius", and also briefly appears unmasked in the alternate timeline of Stargate: Continuum as one of Ba'al's lieutenants. Sokar, played by David Palffy (seasons 2–3) – A System Lord who replaces Apophis as the principal enemy of SG-1 for the first half of season 3. He is named for the Seker of Egyptian mythology. Sokar's backstory is mostly revealed in dialog, and he only appears in person in the season 3 two-parter "Jolinar's Memories"/"The Devil You Know" (although his magnified voice is heard in season 2's "Serpent's Song"): Sokar once ruled the System Lords until an alliance including Ra, Apophis, and Cronus defeated him. Sokar was then forced to use an Unas as host body, and posed as the god of death on many different worlds, with Satan as one of his guises ("Demons"). Sokar slowly gains power in the Goa'uld domain in season 2, and to prevent Sokar from becoming unstoppable, the Tok'ra enact a plan in "Jolinar's Memories"/"The Devil You Know" to assassinate him. However, a disguised Apophis (who became Sokar's prisoner in "Serpent's Song") takes advantage of the situation and takes control of Sokar's massive army after the prison moon Ne'tu blows up with Sokar's ship in orbit. • David Palffy became involved with Stargate through the regular audition process. He remembers to have done automated dialogue replacement in post production for Stargate, but is not entirely sure if he provided Sokar's voice in "Serpent's Song" before being cast as Sokar in season 3. He was later cast to play Anubis. Tanith, played by Peter Wingfield (seasons 4–5) – A Goa'uld symbiote incubated by the Jaffa priestess Shan'auc. In season 4's "Crossroads", the nearly-matured symbiote convinces Shan'auc to defect to Stargate Command and eventually to the Tok'ra, where he blends with the willing host Hebron. After the symbiote murders Shau'nac for betraying her true god, Sha'nauc's lover Teal'c swears revenge. The Tok'ra use Tanith to feed misinformation to the System Lords until "Exodus", where Tanith escapes and brings Teal'c to Apophis. Season 5's "Between Two Fires" reveals that Tanith has switched masters to Anubis, and Tanith commands an assault that annihilates the Tollan. In Tanith's final appearance in "48 Hours", Teal'c kills him by firing directly into the bomber's cockpit of Tanith's Al'kesh. Yu, played by Vince Crestejo (seasons 3, 5–8) – The eldest of the System Lords, introduced as Yu the Great in season 3's "Fair Game" when he visits Stargate Command along with Cronus and Nirrti to negotiate Earth's entry into the Protected Planets Treaty. He is re-imagined in season 5's "Summit" as the Jade Emperor, the exalted Yu Huang Shang Ti, a separate figure in Chinese mythology. Yu is the only System Lord in season 5's "Last Stand" who opposes re-admitting Anubis into their ranks, and his forces manage to hold their own in the lone ensuing battle in season 5 and 6 despite facing superior numbers and technology. In season 6's "Full Circle", Yu convinces the other System Lords to join him in opposing Anubis, but Anubis decimates their collected fleet. Yu's First Prime, Oshu, reveals in season 7's "Fallen" that Yu's mind is failing due to old age and he is no longer able to take a new host. During negotiations on Earth against the threat of Ba'al in season 8's "New Order", Oshu must speak for Yu to hide Yu's further deteriorated mind from the other present System Lords. Yu is killed by Replicator Carter in season 8's "Reckoning" as the first act of her invasion of the Milky Way. Yu appears briefly in the alternate timeline of Stargate: Continuum as one of Ba'al's lieutenants. Zipacna, played by Kevin Durand (seasons 1,3, 5) – A Goa'uld who once served Apophis. He is introduced in season 3's "Pretense" as Klorel's defender at a Tollan trial, while he secretly plots to destroy the Tollan ion cannon network. After this failed attack, Zipacna reappears in season 5's "Summit"/"Last Stand" and pledges allegiance to Anubis. He recruits Osiris into his service and commands an attack on the main Tok'ra base at Revanna, killing almost all the Tok'ra there. Zipacna and his armies are mentioned again in season 5's "The Warrior", in season 6's "Abyss" and in an alternate timeline in Stargate: Continuum. "Ishta" redirects here. For the 2011 Kannada-language film, see Ishta (film). Not to be confused with Illinois State Toll Highway Authority. The Jaffa are an offshoot of humanity, genetically engineered by the Goa'uld. They have an abdominal pouch which serves to incubate larval Goa'uld. The infant Goa'uld provides strength, longevity, and good health, at the cost of supplanting the Jaffa's natural immune system, making them dependent on the Goa'uld for more symbiotes. The Jaffa have a warrior culture and form the armies of the Goa'uld. In season 8 of Stargate SG-1, the Jaffa Resistance wins their race's freedom from Goa'uld oppression, resulting in the Free Jaffa Nation. 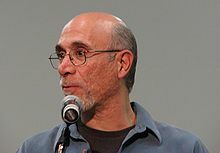 Bra'tac, played by Tony Amendola (seasons 1–3, 5–10) – A Jaffa warrior, former First Prime of the Goa'uld System Lord Apophis, and Teal'c's former teacher and closest friend. His surviving to an age of retirement as First Prime is a noted rarity, and affords him a significant amount of respect among Jaffa. Bra'tac is over 133 years of age at the beginning of the series, a fact he reminds SG-1 of on multiple occasions. He is introduced in season 1's "Bloodlines" and is one of the most frequently recurring characters on Stargate SG-1. Bra'tac, having been one of the first Jaffa to doubt the Goa'uld as gods, has been an outcast among the Jaffa since at least season 1. Bra'tac was also the one who initially influenced Teal'c to doubt the Goa'uld as well. Bra'tac helps Teal'c and SG-1 on many missions. He is initially suspicious of the humans, particularly O'Neill. This dynamic is played out somewhat comically, but Bra'tac slowly learns to trust and respect humans. In seasons 1 and 2, Bra'tac helps to save Teal'c's son, Rya'c from several threats and becomes a guardian to him. During a mission to find the Harcesis child (Shifu) on Kheb in season 3's "Maternal Instinct", Bra'tac is presented with the idea of Ascension but in the end decides against this possibility for himself. At the end of season 6, Bra'tac and Teal'c are both badly wounded during a Jaffa meeting and lose their symbiotes, surviving only by taking the new drug Tretonin. Bra'tac is the primary instigator of the Jaffa Resistance, a rebellion aimed at overthrowing the Goa'uld and establishing the freedom of all Jaffa. At the end of season 8, Bra'tac and Teal'c convince the other members of the Jaffa Rebellion to attack Dakara in an ultimately successful mission. The Jaffa obtain freedom, and Bra'tac receives a position of honor. Bra'tac becomes a member of the High Council, the governing body of the new Free Jaffa Nation but still stays loyal to Stargate Command. Some time after the destruction of Dakara by the Ori, leaders of the Free Jaffa Nation meet to consider the future, but Bra'tac and Teal'c are badly injured during an ambush by a former enemy of Teal'c. When they get nursed back at the SGC, Bra'tac tells Teal'c that he is like a son to him. Drey'auc, played by Salli Richardson (season 1) and Brook Parker (seasons 2, 5) – Introduced in "Bloodlines" as Teal'c's wife and mother to Rya'c. Drey'auc remains a loyal follower of Apophis even after Teal'c had defected to Earth. She works diligently to restore Apophis's faith in her and her son so that Rya'c can reach puberty. Unable to support herself and her son by season 2's "Family", Drey'auc is forced to marry the Jaffa Fro'tak for financial and political security, but Fro'tak betrays them to Apophis when he deduces that she had never stopped loving Teal'c. After Fro'tak's death, she and Rya'c take refuge in the Land of Light and eventually move to a Jaffa rebel camp. Drey'auc's unwillingness to obtain a new symbiote to replace her matured one leads to her death in season 6's "Redemption", where Teal'c cremates her. Louis Gossett, Jr. played Gerak. Gerak, played by Louis Gossett, Jr. (season 9) – The former First Prime of Montu. He is first mentioned in season 9's "Avalon, Part 2", and appears one episode later in "Origin" as the first leader of the Free Jaffa Nation and the first head of the Jaffa High Council. As the leader of the traditionalist faction, he is the political rival of Teal'c. When Gerak helps SG-1 in thwarting a plan of the Ori to construct a Supergate in "Beachhead", he inadvertently aids the Ori. Gerak's forces are able to capture Ba'al (later revealed as a clone) in "Ex Deus Machina" and execute him before the Council, scoring a big moral victory for the traditionalists. Although the episode "Origin" outlines Gerak as a firm believer in freedom for all Jaffa and a firm opponent of the Ori, a Prior convinces Gerak in mid-season 9's "The Fourth Horseman" that Origin should be the goal of all Jaffa. Gerak is transformed into a Prior, and when Teal'c convinces him to betray the Ori, a loyalty fail-safe triggers in Gerak and kills him. Haikon, played by Tony Todd (season 9) – Leader of the Sodan people on P9G-844, where he worshipped the Ancients and spent most of his life in search of Ascension. After a visit by an Ori Prior in "Babylon", he instructs the Sodan to switch their spiritual beliefs from the Ancients to the Ori. He also presides over the ritual duel of kel shak lo between Mitchell and the Sodan warrior Jolan. Ordered to attack defenseless farmers in the name of the Ori, Haikon begins to question the Ori's worthiness as gods and finally renounces Origin. He collaborates with SG-1 in "The Fourth Horseman" to capture a Prior and find a cure against the Prior's plague. Haikon makes his last appearance in "Arthur's Mantle", where he is severely wounded by an undead Sodan, Vol'nek. Haikon's symbiote dies, but SG-12 offers him tretonin. Herak, played by Michael Adamthwaite (seasons 6–7) – Introduced in "The Other Guys" as the First Prime of Khonsu, whom he kills after discovering his being a Tok'ra spy. Herak becomes the First Prime of Anubis and follows his orders in "Full Circle" and season 7's "Fallen"/"Homecoming", but fails to succeed each time. Herak is aboard Anubis' ship above Antarctica in "Lost City" when it gets destroyed. • Before being cast, Michael Adamthwaite watched Stargate SG-1 on a part-time fan basis. He auditioned for the show when he was 20 and knew it was a potentially recurring role. According to Adamswaithe, the character "takes pride in the art of killing, the art of war, the art of mastering your enemy" and "hopes that his actions take him to a positive end for his purposes, which are to follow the Goa'uld lords". Herak is one of the few Jaffa humans under Anubis' command at the end of season 7 who has not been replaced by Kull Warriors. What angers Herak most is O'Neill's jocular antagonism. Ishta (meaning beloved or "greatest one" in Sanskrit), played by Jolene Blalock (season 7–8) – Leader of the Hak'tyl and love interest of Teal'c. Her former position as the Goa'uld Moloc's temple high priestess enabled her for years to secretly bring many girls to another world named Hak'tyl; Moloc would have killed the newborn Jaffa girls as needless otherwise. Ishta first appears in "Birthright" where the Hak'tyl ask Earth for an alliance, and the drug Tretonin seems like a solution to the Hak'tyl's symbiote problems. Ishta kisses Teal'c goodbye when she leaves Earth. Ishta reappears one year later in "Sacrifices" where she approaches Teal'c to help her kill Moloc. The female resistance is forced to evacuate to SGC until they find a new homeworld. Ka'lel, played by Simone Bailly (seasons 7–9) – A female Jaffa warrior formerly under the service of Moloc. When SG-1 first meets her in "Birthright", she is involved with the Hak'tyl resistance movement under Ishta to fight Moloc. Ka'lel becomes a representative for the Hak'tyl in the newly formed Jaffa High Council in the Free Jaffa Nation in season 9. She gives SG-1 valuable information about Ba'al to SG-1 in "Ex Deus Machina" and initially supports Teal'c's attempts to replace the Council by a democratically elected government. Ba'al brainwashes her into changing her opinion in "Stronghold". Rak'nor, played by Obi Ndefo (seasons 4–7, 9) – A Jaffa warrior whose father had burned the Goa'uld symbol off Rak'nor's forehead in the belief that Teal'c's rebellion against the Goa'uld would soon free all Jaffa, but the execution of his father pushed Rak'nor into the service of the Goa'uld Heru-ur. In season 4's "The Serpent's Venom" Rak'nor captures Teal'c in Heru'ur's name but gets convinced of Teal'c's cause. Rak'nor joins the rebel Jaffa to lead them on Teal'c's behalf and appears again in season 5's "The Warrior", season 6's "Allegiance" and season 7's "Orpheus". After the collapse of the Goa'uld Empire and the emergence of the Free Jaffa Nation, Rak'nor serves as one of Teal'c's and Bra'tac's allies among the progressive faction, and last appears serving as Teal'c's proxy during votes in season 9's "Avalon". Rya'c, played by Neil Denis (seasons 1–2, 6–8) – The young son of Teal'c and Drey'auc. After Teal'c defects to Earth, Rya'c and his mother are forced to live as pariahs. In season 1's "Bloodlines", Teal'c prevents a ceremony that would have given Rya'c a symbiote to cure his illness. Apophis captures Rya'c in season 2's "Family" and brainwashes him into publicly denouncing his father, but Teal'c and SG-1 are able to break the conditioning. Rya'c grows up under the tutelage of Bra'tac and is taught the ways of the Jaffa. After Drey'auc's death in season 6's "Redemption", Teal'c allows Rya'c to go on his first mission. Rya'c and Bra'tac are captured trying to recruit more allies for the Jaffa rebellion and become prisoners of war in season 7's "Orpheus". In his last appearance in season 8's "Sacrifices", Rya'c marries Kar'yn, a young female Hak'tyl warrior with whom he has fallen in love, despite Teal'c's initial objections. Oshu, played by Kevan Ohtsji (seasons 7–8) – First Prime of Yu who makes his first appearance in "Fallen". Despite knowing of Yu's deteriorating mental health, Oshu remains loyal to his master. Teal'c eventually convinces Oshu in "Homecoming" to bypass Yu for the greater good. Oshu accompanies Yu to the SGC in "New Order" and speaks for him to negotiate a treaty with Earth. Oshu last appears in "Reckoning" and is present when Replicator Carter stabs Yu to death as part of her invasion of the Milky Way galaxy. Yat'Yir, played by Gardiner Millar (season 9) – A Free Jaffa formerly in the service of Montu and now a member of the Jaffa High Council. Yat'Yir is introduced as a trusted aide of the Jaffa leader Gerak in "Origin" and personally conducts a raid on Earth to find Ba'al in "Ex Deus Machina". In "The Fourth Horseman", Yat'Yir expresses his concerns about Gerak's Ori proposal and remains a member of the High Council after Gerak's death. Yat'Yir is present for the Jaffa democracy referendum in "Stronghold". "Lucian Alliance" redirects here. For characters in Stargate Universe, see List of Stargate Universe characters § Recurring Lucian Alliance characters. The Lucian Alliance is an interstellar group of human smugglers and mercenaries that have joined together from many different human-settled worlds across the Milky Way Galaxy to fill the power vacuum created by the demise of the Goa'uld, and have obtained and modified Goa'uld technology for their own use. When their trade partner Vala Mal Doran does not keep an agreement in their first appearance in season 8's "Prometheus Unbound", she and Daniel are placed on a Lucian Alliance wanted list. The Lucian Alliance is first referred to by name in season 9's "The Ties That Bind" and reappears as a recurring foe in seasons 9 and 10. The Lucian Alliance story arc is continued in Stargate Universe. Producer Joseph Mallozzi explained in retrospect, "Much of the Lucian Alliance we saw in SG-1 was inept and, dare I say it, a bit goofy. They fit in with SG-1's lighter, more high adventure-driven tone but would have stood out (and not in a good way) in the new series [Stargate Universe]. As a result, I was initially leery at the prospect of introducing them to SGU but, as so often happened over the course of my many years in the franchise, I trusted in Brad [Wright] and Robert [C. Cooper] and, in the end, that trust was rewarded with a terrific story element that not only succeeded as planned [...] but offered up plenty of interesting story material for future episodes [of Stargate Universe]. The Alliance was always envisioned as a loose coalition of mercenary groups so it made sense that certain factions would have been more capable and threatening than others." Jup and Tenat, played by Geoff Redknap and Morris Chapdelaine (seasons 8–10) – Oranian minor members of the Lucian Alliance who make their first appearance in season 8's "Prometheus Unbound", aiming to trade a case of weapons-grade-refined naqahdah to Vala in exchange for the stolen Prometheus. After Daniel foils the plot, the Alliance sends Jup and Tenat to capture Vala in season 9's "The Ties That Bind", but Mitchell and Teal'c double-cross them. Upon meeting and recognizing Mitchell as a scam artist aboard a Lucian Alliance ship in season 10's "Company of Thieves", Tenat asks for a part of the spoils and is double-crossed again, dying in a self-induced firefight against Netan's mothership. Jup last appears in "Bounty" as one of several bounty hunters attempting the capture of SG-1 on Earth, but another bounty hunter kills him. Netan, played by Eric Steinberg (seasons 9–10) – The leader of the Lucian Alliance. He first appears in "Off the Grid", trying to intercept Ba'al in stealing Stargates from several planets, including one controlled by the Lucian Alliance. Teal'c approaches the Lucian Alliance for help in attacking the invading Ori battlecruisers in "Camelot", and Netan commits three motherships to the battle. After the big losses during that battle, one of Netan's seconds (Anateo) moves against Netan in season 10's "Company of Thieves", but Anateo's skills and a trick by Mitchell lead Netan to declare war on the people of Earth. SG-1 actually does Netan a favor, killing Anateo for him while retaking the Odyssey. After SG-1 makes raids on Lucian Alliance assets in "Bounty", Netan places a bounty on the heads of SG-1 and is implied to die at the hands of another bounty hunter himself when the hunters fail. The Ori are Ascended beings who use their infinite knowledge of the universe to force lesser beings to worship them. In essence, they used to be Ancients, however they split into separate groups due to different views of life. The Ori are religious while the Ancients prefer science. The Ori sway lesser-developed planets into worshipping them by promising Ascension through an invented and empty religion called "Origin". This religion states that they created humanity and as such are to be worshipped by their creations. It also promises its followers that, on death, they will Ascend. However, Origin was designed to channel energy from the human worshippers to the Ori. As such, the Ori never help anyone else Ascend because then they would have to share the power that they sap from their worshippers. Their ultimate goal is to completely destroy the Ascended Ancients, who they know as "the Others". All of their efforts, including their technology, are for the purpose of garnering worshippers. As Ascended beings, the Ori do not interfere directly in the mortal plane. Instead, they use humans called Priors, which they artificially evolve so that they are one step from Ascension, giving the Priors godly powers. Because the Ori have worshippers across the entire home galaxy of the Ancients, and using their knowledge to spread, they are nearly unstoppable. Morena Baccarin played Adria the Orici. Adria, played by Robert C. Cooper's daughter Emma (season 10, age 4), Jodelle Ferland (season 10, age 7), Brenna O'Brien (season 10, age 12), Morena Baccarin (season 10, adult) – The primary antagonist in season 10. Adria is the Orici, a genetically advanced human infused with Ori knowledge. The Ori had impregnated Vala Mal Doran with Adria against her will in season 9 to circumvent the Ancients' rules in the Milky Way galaxy, and as such Vala named the child after her "witch of a woman" stepmother. Losing contact with young Adria in "Flesh and Blood", Vala meets her daughter again as an adult in "Counterstrike". In "The Quest", Adria tricks SG-1 into obtaining the Sangraal for her and captures Daniel before he can complete the device. Adria attempts to convert Daniel to the path of Origin and makes him a Prior, but he betrays her in "The Shroud" and uses the weapon on the Ori galaxy. Adria is briefly implanted with the Go'auld Ba'al in "Dominion", but the removal of the symbiote almost kills Adria and she ascends. She nevertheless continues the Ori's assault on the Milky Way in Stargate: The Ark of Truth, where the Ancient Morgan le Fay engages her in an ascended battle, "eternally distracting her from being able to continue her evil ways". • The producers created Adria's character to give Vala a story and personality arc as a new member of the SG-1 team and offered the role of adult Adria to Morena Baccarin, as they were fans of her former TV series, Firefly. The character initially has orange contact lenses, but they irritated Baccarin's eyes so much that the lenses were dropped during the shooting of "The Quest". Doci (Latin docere, "to teach"), played by Julian Sands (season 9) – The leader of the Priors who also represents the Ori in their home galaxy. He has brown hair and colored eyes, pale skin and facial markings of a Prior. He first appears in season 9's "Origin", residing in the city of Celestis, with his chambers next to the Ori's Flames of Enlightenment. He also appears in a short flash in "The Fourth Horseman, Part 1" and is hit by the Ark's beam in Stargate: The Ark of Truth, stopping his belief of the Ori as gods so that he spreads the truth to all of the Priors in the Ori galaxy and through them to their followers. • Although Sands' limited availability was a hindrance in The Ark of Truth, the producers felt it was better to include the Doci than to forgo the character. Had Julian Sands not been able to resume the role, the producers had planned to hire another actor as a different Doci in charge in Celestis. Prior, played by Greg Anderson (seasons 9–10) – The governor of the village of Ver Eger, introduced in "Avalon" when Daniel and Vala first come to the village. As a reward for fulfilling his duties and putting Vala through a Trial by Fire, he is transformed into a Prior in "Origin". He is later sent to the Milky Way and appears in "The Powers That Be" unleashing a plague in a defiant village, in "The Fourth Horseman" turning Gerak into a Prior, and in season 10's "Line in the Sand" ordering the destruction of a village by spaceship. He is killed by SG-1 in Stargate: The Ark of Truth. Prior, played by Doug Abrahams (seasons 9–10) – A one-eyed Prior introduced in "Crusade", who cures Tomin of his limp and later informs him of being unable to father children. He is on-board one of the Ori battlecruisers invading the Milky Way in "Camelot" and is present during Adria's birth in season 10's "Flesh and Blood", informing Vala and Tomin of her divine purpose. In "The Quest", he accompanies Adria in the search of the Sangraal (Stargate). He is captured in Stargate: The Ark of Truth and exposed to the Ark, thus stopping to believe in the power of the Ori. Tomin, played by Tim Guinee (seasons 9–10) – A devout Ori follower of the village of Ver Isca, who becomes an Ori commander in Season 10. Tomin is intended as a representation of the Ori warriors, and Cooper described Guinee as a "fabulous actor who instantly creates that humanity and empathy ... while he's mass-murdering people" Tomin is introduced in flashbacks in season 9's "Crusade", having found Vala after she was transported to the Ori home galaxy. Tomin had been crippled since childhood, and was therefore looked down on by his fellow villagers. Tomin married Vala and accepted her pregnancy as his child, not knowing that it was an immaculate conception set by the Ori. A little later, a Prior visited the village and cured Tomin of his limp, allowing him to become a warrior for the Ori. The prior also told Tomin the truth about the child as "the will of the Ori", who would later be the Orici. Tomin is later able to forgive Vala. As seen in "Camelot", Tomin and Vala depart aboard the first wave of Ori vessels entering the Milky Way, and they go separate ways in season 10's "Flesh and Blood". Tomin rises to the rank of commander within the Ori warrior armies, and he and Vala meet again in "Line in the Sand". Because a Prior twists the words of the Book of Origin, Tomin begins to doubt the Priors and their interpretations of Origin's teachings, and helps Vala escape. Tomin helps with the final Ori defeat in the film Stargate: The Ark of Truth, in which, after seeing a Prior's death with his own eyes, he learns the truth about the Ori. The Replicators are a potent mechanical life-form using a quiron-based technology composed of building blocks using nanotechnology. They strive to increase their numbers and spread across the universe by assimilating advanced technologies. They are hostile to all other life-forms in the universe, but are opposed primarily by the Asgard. In the episode "Unnatural Selection", the Replicators had developed human-form Replicators, based on the technology they extracted from their Android creator, that appear just like humans and are able to change their form. Standard Replicators are resistant to energy weapons, and can only be destroyed by projectile weapons. Human-form Replicators, on the other hand, are resistant to projectile weapons as well due to the change in their nature from large blocks to smaller units the size of organic cells (cell blocks). In the episode "New Order (Part 2)", an Ancient weapon called the Replicator Disruptor was developed by O'Neill while he still had the knowledge of the Ancients in his mind. It works by blocking the cohesion between the blocks that make up the Replicators. The Replicators in the Milky Way galaxy were wiped out by the Dakara Superweapon in the two-part episode "Reckoning" at the climax of Season 8. It has been indicated that the Asgard used the same technology to defeat the Replicators in their own home galaxy as well. Fifth, played by Patrick Currie (seasons 6, 8) – A human-form Replicator introduced in season 6's "Unnatural Selection". He is the fifth human-form to be created on the Asgard planet Halla, and unlike the others he lacks the programming flaws of the android Reese, on which the human-forms are based. This makes him more "human" than the other Replicators, who consider him "weak" as a result. After SG-1 is captured by the Replicators, Fifth becomes fascinated by them, especially Carter, and attempts to help them, but SG-1 break their promise and leave Fifth behind in a time dilatation field. Fifth has escaped the time dilation field in the season 8 episode "New Order", and en route to the new Asgard homeworld of Orilla, he captures Samantha Carter and tortures her in revenge. He eventually relents when she appeals to his humanity again, and professes his love for her. He lets Carter go but creates a Replicator duplicate of her to serve as his consort. Fifth appears for the last time in "Gemini", conspiring with Replicator Carter to obtain data from the SGC that would immunize them from the Replicator Disruptor. Replicator Carter however never returned his feelings, believing him unfit to command the Replicators. She ultimately betrays him, taking the data for herself while manipulating him into being destroyed by the Disruptor. • Patrick Currie had auditioned for the show since the very beginning, resulting in approximately 15 auditions before being cast, according to Currie because the producers always short-listed him and waited for the perfect episode to use him in. When preparing for the role of Fifth, Currie was unsure where to take the innocence and vulnerability of the character, and later figured that the key to this character is to know "what it's like before we learn to play games and pretend". He thinks Fifth is a misunderstood character and not a villain; Fifth believes to love Carter, but lacks comparisons. Replicator Carter (also known as RepliCarter), played by Amanda Tapping (season 8) – A human-form Replicator created by Fifth. She first appears at the end of "New Order", and becomes a major adversary in the eighth season of the series. Fifth intended her to be a duplicate of the real Samantha Carter, but one who would return his affections. Replicator Carter seemingly defects from Fifth to the SGC in "Gemini", but in fact abandons him to be destroyed while she develops a means to immunize herself from the Replicator Disruptor. In "Reckoning", Replicator Carter launches a full-scale invasion of the Milky Way and personally eliminates the last of the Goa'uld System Lords. She abducts Daniel and probes his mind to find the location of the Dakara superweapon, the only thing in the galaxy capable of stopping her. She also sends Replicators to fight the forces of Ba'al, the Jaffa Rebellion, and Stargate Command on Earth. Daniel Jackson is able to exploit his connection to the Replicator network at a critical moment, buying enough time to finish calibrating and activating the Dakara weapon. The resulting energy wave breaks Replicator Carter and all her brethren into their constituent parts. The Tok'ra (literally "against Ra", the Supreme System Lord) are a faction of Goa'uld symbiotes who are opposed to the Goa'uld culturally and militarily. Spawned by the queen Egeria, they live in true symbiosis with their hosts, both beings sharing the body equally and benefitting from each other. The Tok'ra have fought the Goa'uld for thousands of years, favoring covert tactics and balancing the various System Lords against one another. Since season 2 of Stargate SG-1, the Tok'ra have become valuable allies of Earth. Aldwin, played by William deVry (seasons 3–5) – A Tok'ra introduced in season 3's "The Devil You Know" to aid SG-1 on a mission to rescue Jacob Carter from Sokar's prison moon Ne'tu. In season 4's "Absolute Power", Aldwin is sent to the SGC to verify via a zatarc-detecting device that Shifu is indeed the supposed Harcesis. Alwin is killed in season 5's "Summit"//"Last Stand" when Zipacna attacks the planet Revanna where Aldwin guided SG-17 through the Tok'ra base. Anise, played by Vanessa Angel (season 4) – A gifted scientist and historian whose human host Freya is attracted to Jack O'Neill, although the symbiote prefers Daniel Jackson. She is introduced in season 4's "Upgrades", researching the Atanik armbands on SG-1 in the hope to use the armbands' powers on a dangerous SG-1 mission to destroy Apophis' new prototype mothership. Anise is present for Tanith's introduction in "Crossroads", and assists Stargate Command in "Divide and Conquer" to uncover possible Zatarcs within the SGC ranks. She improperly diagnoses O'Neill and Carter, who unwittingly lied during the test to conceal their feelings for each other. Jolinar of Malkshur, played by Amanda Tapping (season 2) and Tanya Reid (season 3 as Rosha) – Tok'ra symbiote of Rosha and temporarily Samantha Carter. The symbiote is severely injured by an ash'rak, a Goa'uld assassin, and died saving her host's life. Martouf, played by JR Bourne (seasons 2–4, 9) – A leader in the ranks of the Tok'ra. Martouf had been the mate of Rosha, host to Jolinar, for almost a century. SG-1 first meet Martouf during their first encounter with the Tok'ra in season 2's "The Tok'ra", and since Jolinar was once blended with Samantha Carter, Martouf develops an interest in her. Some episodes later in "Serpent's Song", Martouf recommends that Apophis, who sought asylum at the SGC, should be handed over to Sokar. In the season 3 two-parter "Jolinar's Memories"/"The Devil You Know", Martouf joins SG-1 on a mission to rescue Jacob Carter, the host of the Tok'ra Selmak, from Ne'tu. They are captured and tortured, but Martouf, Selmak and SG-1 can escape when a new Tok'ra weapon destroys Ne'tu. However, Martouf is unwittingly subjected to Goa'uld mind control, turning him into a zatarc. His attempt to assassinate the President of the United States in season 4's "Divide and Conquer" ends in failure, and Carter is forced to kill him. Martouf's symbiote, Lantash, survives and is placed in a Tok'ra stasis chamber, which is destroyed in a Goa'uld attack in season 5's "Last Stand". The new SGC recruit Lieutenant Elliot blends with Lantash after a severe injury, but they give their lives to save the rest of SG-1 and the Tok'ra, eliminating the entire Goa'uld invasion force with a vial of symbiote poison. An alternate version of Martouf arrives at the SGC when many SG-1s from alternate realities start coming through the Stargate in season 9's "Ripple Effect". That universe's Martouf had joined the SGC to be closer to Carter, but their relationship did not last. Ren'al, played by Jennifer Calvert – A member of the Tok'ra High Council. In "Enemies", she travels to Earth to inform General Hammond that, though their plan to destroy Apophis' fleet was successful, no trace of SG-1 or Jacob/Selmak has been found. In "Summit", Ren'al briefs the SGC on an upcoming summit of the Goa'uld System Lords and the Tok'ra plan to assassinate them using symbiote poison. When the Tok'ra base on Ravenna comes under attack by Anubis' minion Zipacna in "Last Stand", Re'nal is killed by falling debris. Selmak, played by Joy Coghill (season 2, Saroosh) and Carmen Argenziano (seasons 2–8) – Tok'ra symbiote of Saroosh and later Jacob Carter. Other Tok'ra seen include Garshaw of Belote and Persus. The Tollan are an advanced human civilization who are introduced in season 1's "Enigma" when the SGC helps a group of them relocate from the original Tollan homeworld that had undergone catastrophic volcanic activity. The Nox take the Tollan in while they continue to search for a new home, later revealed to be named Tollana. The Tollan have a strict policy against sharing technology with more "primitive" races, instituted after such a transfer caused the civilization of their neighboring planet Serita to destroy itself in a single day. Teal'c notes in season 3's "Pretense" that despite the Tollans' technological superiority, they "do not think strategically". The Tollan are wiped out by the forces of the Goa'uld Tanith in season 5's "Between Two Fires" after the Goa'uld Anubis developed shields impervious to Tollan weaponry. Narim, played by Garwin Sanford (seasons 1, 3, 5) – An influential Tollan who befriends SG-1 after they save him and a group of fellow Tollans in "Enigma". He develops an apparent attraction to Carter and reconfirms his feelings for her in "Pretense", although she informs him that she is not looking for a relationship at that time. After the death of the Tollan leader, Omoc, in "Between Two Fires", Narim and SG-1 discover that his government was collaborating with the Goa'uld. Narim takes action to spare Earth from destruction, but the Goa'uld begin attacking the planet. Narim escorts SG-1 to the Stargate and stays behind to help his people fight. Shortly afterwards, Narim informs Earth of Tollana's devastations via a transmission, which ends abruptly. Travell, played by Marie Stillin (seasons 3, 5) – High Chancellor and a member of the Curia, the Tollan's highest ruling body. She is first seen in "Pretense", where she presides over the hearings about the future of the Goa'uld Klorel and his unwilling host Skaara. In season 3's "Shades of Grey", Travell participates in an undercover operation conducted by the SGC to expose the rogue NID agents as thieves. In Travell's final appearance in "Between Two Fires", she offers Tollan ion cannon technology to Stargate Command, later discovered to be part of Tanith's extortion of the Curia. Cassandra, played by Katie Stuart (seasons 1–2), Pamela Perry (season 2, old woman), and Colleen Rennison (who also played Ally in the S02E10"Bane") (season 5) – A young girl whom SG-1 discovers in season 1's "Singularity" as the sole survivor of a biological plague on the planet Hanka, and whom Janet Fraiser subsequently adopts. A naqahdah bomb that the Goa'uld Nirrti once planted in Cassandra's chest shuts down on its own and is eventually absorbed into her body's tissues, allowing Cassandra to sense the people who are infested, or blended with, a Goa'uld. As such, Cassandra senses Carter to have been taken over by Jolinar in season 2's "In the Line of Duty". In season 5's "Rite of Passage", a retrovirus Cassandra contracted on her home planet several years ago causes her to evolve into a hok'taur (an advanced human being), but SG-1 makes a deal with Nirrti to save Cassandra's life. After Janet Fraiser's death in season 7's "Heroes", Carter promises to inform Cassandra about what happened to her adopted mother. Travelling from the year 1969 to several decades into the future, SG-1 meets Cassandra as an old woman in season 2's "1969", who helps them return to their own time. Chaka, played by Dion Johnstone (seasons 4–5) and by Patrick Currie (season 7) – A young Unas from P3X-888 who captures Daniel in season 4's "The First Ones" to prove his maturity to his tribe. When the two learn to communicate, Chaka kills his tribe's existing Alpha male and rises to become the new leader. After SG-1 frees Chaka from slave dealers in season 5's "Beast of Burden", Chaka chooses to remain behind to lead an ultimately fragile but successful fight for the freedom of his fellow Unas. Chaka last appears in season 7's "Enemy Mine" to negotiate between a large group of aborigine Unas and SGC personnel, whose naqahdah mining operations on the Unas planet unwittingly encroached on holy Unas ground. • When Dion Johnstone was unavailable to play Chaka in "Enemy Mine", Patrick Currie (who had previously been cast to play Fifth) prepared for the role by watching Johnstones's previous performances. Director Peter DeLuise told Currie to follow Dion's lead but to add his own spin to the character. Playing an Unas is a challenging job as it requires full prosthetic body-ware, contact lenses, and fake teeth. Dreylock, played by Gillian Barber (seasons 6–7) – A high ranking Kelownan official from Jonas Quinn's homeplanet Langara, and a Kelownan ambassador to other nations and planets. She approaches Earth in season 6's "Shadow Play" to obtain more advanced military technology against Kelowna's two rival nations, but the SGC refuse to share their technology. Dreylock becomes Kelowna's new First Minister in season 7's "Homecoming" and ask Earth for help against Anubis. Dreylock subsequently allows Jonas Quinn, whom she previously regarded as a traitor, to remain on Langara. Since the forming of the planet's Joint Ruling Council in the aftermath of the Goa'uld invasion, Dreylock has become concerned with maintaining the uneasy peace between the three nations and again asks for Earth's help in season 7's "Fallout". Martin Lloyd, played by Willie Garson (seasons 4–5, 10) – A human from another planet who crashed on Earth after deserting from his military fighting a losing war with the Goa'uld. Drugged with pharmaceuticals by his comrades, Martin loses his memories and becomes a paranoid conspiracy theorist who learns of the Stargate Program. In season 4's "Point of No Return", O'Neill helps Martin to slowly regain his memory, and Martin chooses to remain on Earth. By season 5's "Wormhole X-Treme! ", Martin has become so disgruntled with his life that he starts taking the drugs again. His latent memories inspire him to create a campy science fiction television show, Wormhole X-Treme!, based on the real Stargate program and SG-1, and O'Neill helps Martin recover his memories once again. A ship approaches Earth to pick up Martin's former comrades, but Martin chooses to stay behind to continue working on Wormhole X-Treme! as a creative consultant. As becomes known in season 10's "200", Martin's show only aired for three episodes but had high DVD sales. Martin approaches the SGC to review a script for a television movie based on the series, and although the movie is eventually cancelled, the series is renewed, ultimately lasting ten years with Martin Lloyd as producer. Lya, played by Frida Betrani (seasons 1, 3) – A Nox girl. She first appears in season 1's "The Nox", where her family brings her back from the dead after one of Apophis' Jaffa killed her. In season 1's "Enigma", Lya offers the Tollan sanctuary with the Nox. In season 3's "Pretense", Lya serves as the neutral attorney at a Tollan hearing and eventually gives the deciding vote to remove the Goa'uld Klorel from his host Skaara. Lya also enables the Tollan to repel a Goa'uld attack. Shifu, played by Lane Gates (season 4) – The son of Sha're and of the host of the Goa'uld Apophis, conceived while Sha're was the host to the Goa'uld Amonet. Apophis intended him as his new host. As the offspring of two human hosts, Shifu possesses the Goa'uld genetic memory and is referred to as "Harcesis". After his birth in season 2's "Secrets", the boy is hidden safely on Abydos until Amonet discovers him in season 3's "Forever in a Day". She sends him to Kheb to keep him safe from the Goa'uld who want the child killed. In season 3's "Maternal Instinct", SG-1 finds and leaves him there in the care of a powerful energy being called Oma Desala. In season 4's "Absolute Power", SG-1 encounters Shifu on Abydos and invites him to Earth. After SG-1 acknowledges that Shifu would never reveal his genetic knowledge, Shifu ascends. In season 4's "Absolute Power" Dr. Daniel Jackson translates Shifu into English as "light"; however, in Chinese the word shifu also means "teacher" . In the same episode, Shifu says that all he is doing is teaching Daniel. ^ "Matthew Walker – Awards". IMDb. Retrieved 2008-09-05. ^ Read, David (June 2004). "Oma In Brief – GateWorld talks with Mel Harris". GateWorld. Retrieved 2008-11-27. ^ a b c "Fair Game". Stargate SG-1. ^ Mikita, Andy (2005). Audio commentary for "New Order" (DVD). MGM. ^ DeLuise, Peter (2005). Audio commentary for "Reckoning (Part 1)" (DVD). MGM. ^ a b c Read, David (July 2004). "The Hour of Anubis (Part 1 of 3) – GateWorld talks with David Palffy". GateWorld. Retrieved 2008-12-22. ^ a b Read, David (July 2004). "The Hour of Anubis (Part 2 of 3) – GateWorld talks with David Palffy". GateWorld. Retrieved 2008-12-22. ^ a b c Read, David (July 2004). "The Hour of Anubis (Part 3 of 3) – GateWorld talks with David Palffy". GateWorld. Retrieved 2008-12-22. ^ Cooke, Bill (August 18, 2005). "Asteroid Apophis set for a makeover". Astronomy Magazine. ^ a b "Thor's Chariot". Stargate SG-1. ^ Read, David (January 2004). "Nirrty On The Couch – GateWorld talks with Jacqueline Samuda". GateWorld. Archived from the original on 2008-10-05. Retrieved 2008-11-27. ^ "The Tok'ra". Stargate SG-1. ^ "Children of the Gods"
^ a b "Serpent's Song". Stargate SG-1. Bra'tac in season 1's "Bloodlines": "Not bad for a man of 133." Bra'tac in season 3's "Into the Fire": "In too great a number for an old man of 135." Bra'tac in season 5's "Threshold": "Twice, in my 137 years." ^ Eramo, Steven (July 2002). "Tony, Tony". TV Zone (Special #46): 10–11. ^ Read, David (May 2004). "Under The Armor – GateWorld talks with Michael Adamthwaite". GateWorld. Archived from the original on 2016-12-20. Retrieved 2008-11-28. ^ Mallozzi, Joseph (December 25, 2010). "December 25, 2010: Christmas! Marty G.! And the return of the mailbag!". josephmallozzi.wordpress.com. Retrieved 2010-12-27. ^ a b Sumner, Darren (April 2008). "Myth Maker, Part Two – GateWorld talks with Robert C. Cooper". GateWorld. Archived from the original on 2008-04-13. Retrieved 2008-04-14. ^ a b Sumner, Darren (April 2008). "Myth Maker, Part One – GateWorld talks with Robert C. Cooper". GateWorld. Archived from the original on 2008-04-07. Retrieved 2008-04-08. ^ Eramo, Steven (January 2007). "Actress Morena Baccarin – Child's Play". TV Zone (Special #74): 48–49. ^ a b Sumner, Darren & Read, David (April 2006). "Directing The Future – GateWorld talks with Robert C. Cooper". GateWorld. Archived from the original on 2008-03-14. Retrieved 2008-03-05. ^ Sumner, Darren & Read, David (June 2007). "New Directions – GateWorld talks with Robert C. Cooper". GateWorld. Archived from the original on 2007-12-25. Retrieved 2008-03-05. ^ a b Read, David (January 2005). "Fifth Unleashed – GateWorld talks with Patrick Currie". GateWorld. Archived from the original on 2008-12-02. Retrieved 2008-12-03.